• September 3: Special Tot Play Time: Little Einstein, 1:00 p.m. This monthly play time is designed for toddlers to expand their imagination through science exploration. • September 6: Monthly Computer Class: eBay, 9:00 a.m. Participants will learn the basics of setting up an account on eBay, an online auction site where millions of people sell, buy and bid on new, used or antique items from around the world. A library card and PIN are required. Register in person at the information desk or by phone at: (916) 375-6465. Space is limited. • September 8 and 22: All Things String, 6:00 p.m. This crafting circle is for anyone who knits, crochets, embroiders or enjoys fiber art. Bring a project or start something new. • September 10: Craft: Design a Folder, 2:00 p.m. Are you reading for school? Tweens and teens are invited to create their own unique folder with materials provided by the library. 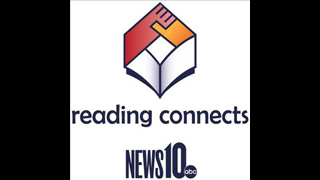 • September 10: Project Sentinel: Fair Housing, 3:00 p.m. Learn your rights as a tenant in this free workshop about fair housing. Facilitated by Catherine Bonanno from Project Sentinel, a non-profit housing counseling agency. • September 12 and 26: The Human Journey: Introduction and Spirituality, 12:30 p.m. What does it mean to be human? What drives people on their journey through life? Adults 55 and older are welcome to join this discussion group to share their story. Facilitated by Katheryn Haines. • September 14: Energy Efficiency, 6:00 p.m. Learn ways to be energy efficient and how you can save on your electricity bill. • September 17: Giant Jenga Day, 2:00 p.m. Tweens and teens are invited to play Jenga with giant pieces and test their skills. All participants will be entered into a prize raffle. • September 21: What’s Happening, Seniors? 12:00 p.m. Are you looking to get together with interested and active seniors or make new friends? Come share stories, learn from one another and find out ‘What’s Happening’ in West Sacramento and beyond! • September 21: Evening Book Club, 6:00 p.m. Come discuss Nicole Krauss’ History of Love. Books are distributed and collected at the meeting. Contact Cindy at (916) 731-5504 for more info. • September 24: Tai Chi and Qigong Part XI, 11:00 a.m. Learn a series of movements and breathing exercises to help with stress relief, insomnia, flexibility and fall prevention and improve internal organ wellness with healing sound exercises. Facilitated by Dr. Gigi Tze-Yue Hu. • September 24: Toy Day, 1:00 p.m. This monthly program allows children ages 0-5, with their parents or caregivers, to play with toys and listen to stories in order to expand early literacy skills. • September 26: Tales for Tails, 4:00 p.m. Children ages 6-12 are invited to meet and read to four special dogs. Parents or caregivers are asked to stay during the reading. Animals are ideal reading companions because they listen attentively, do not judge or criticize and allow children to read at their own pace. After 10 visits, participants receive a free book. • September 28: West Sacramento Friends of the Library Meeting, 6:30 p.m. This non-profit 501(c)(3) organization is dedicated to serving the West Sacramento community through supporting library programs and services and are always recruiting for new members. • September 30: Digitization Day, 1:00 p.m. Bring in old family photos, letters, newspaper clippings or documents to be digitized for free. With your permission items may also be added to the collection at the Yolo County Archives. Participants must bring a flash drive (at least 1GB) to save items or can purchase one from the library. Limit of 20 items to be digitized. • Mother Goose on the Loose: Tuesdays at 11:00 a.m. Starts September 6. Join this award winning program for children ages 1-3 and their parents or caregivers that combines music, movement, visual literacy and language development to help children develop emotionally and socially while encouraging a positive attitude towards learning. • Preschool Story Time: Wednesdays at 11:00 a.m. Starts September 7. This program for children ages 3-5 and their parents or caregivers uses stories, rhymes, songs and finger-plays to help children develop early literacy skills and encourage group participation. • Hug-A-Bye Babe: Thursdays at 11:00 a.m. Starts September 8. Children ages 0-1 and their parents or caregivers are invited to this lap-sit program that features language development through songs, picture books, finger-plays and lullabies. • Buddy Reading: Mondays at 4:30 p.m. Starts September 12. Children in elementary school are welcome to practice their reading skills with a buddy from the River City High School Interact Club for 30 minute sessions to build reading comprehension and confidence in reading out loud. After 10 visits, participants get a free book. • Russian Story Time: Tuesdays at 6:30 p.m. • Homework Center: Tuesdays and Thursdays at 3:00 p.m. Pre-registration is required and free at the Information Desk. For additional info contact the Homework Center Assistant at (916) 375-6469. • Hora de Cuentos/Bilingual Spanish Story Time: Saturdays at 11:00 a.m.
NOTICE: All Yolo County Library branches will be closed September 5 for Labor Day. Visit your local branch to get your free Yolo County library card during Library Card Sign-Up Month. All programs are sponsored by the West Sacramento Friends of the Library, are free to attend and, with some exceptions, do not require registration. For more information about events at the Arthur F. Turner Community Library, contact library staff at (916) 375-6465, visit the Yolo County Library at: www.yolocountylibrary.org (see calendar for Arthur F. Turner Community Library-specific events) or connect with the Yolo County Library on Facebook at: www.facebook.com/yolocountylibrary.org.